I do have a couple of things to add. My Bishop at church recently spoke about goals and made an excellent point I had to share. He said the way you word a goal for yourself is important. You want to word it in a way you can achieve it and/or keep going if there is a slip up. We can get pretty ambitious with our New Year’s resolutions. We might make a goal, “I will never eat sugar again!” Nice thought. Hard to execute, right? Then what happens when you slip up and eat some sugar? Then that goal has been failed and you might as well give up on it completely. That is the road we travel often, correct? Instead, you could make a goal that said, “I will eat less sugar.” This is something you can stick to better and with more success. The idea here is you want to give yourself some grace in the goal setting process. Your intent is to improve yourself, not become perfect overnight. Sure, being perfect someday is something to strive for (but not something really to achieve in this life time), so let’s make goals that are reasonable. Now, if you are a person who can say, “I will read my scriptures every day” but keep going even if you miss a day in February, then go for it! Another caveat is you still want to push yourself. You want to stretch and work to be better. So make your goal and then make a realistic plan to achieve it. Another point is you might be someone who benefits from help. Get a group of friends together to be accountable to who want to do the same goal. Want to be better at keeping your house clean? Get a group of friends together who want to do the same and send pictures of rooms to each other. You see a room differently when you are about to photograph it. You can also find help through lots of fun printables you can find for free on the internet. 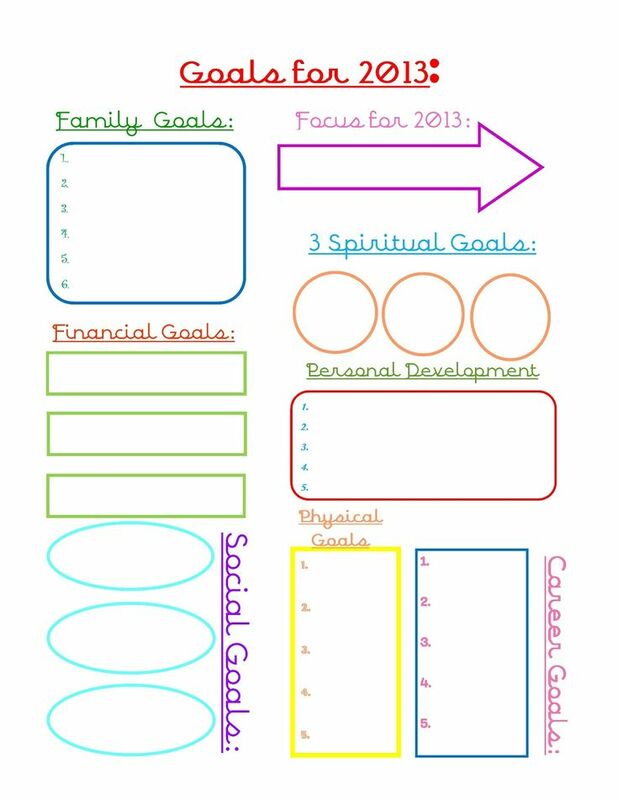 I have recently pinned a bunch of fun goal helps on my organizing board on pinterest. 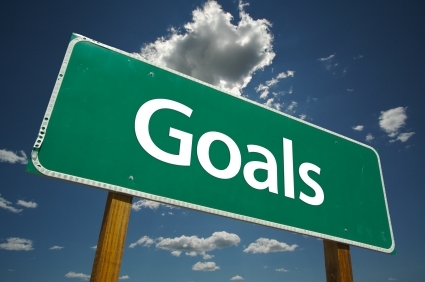 There are also several apps to help with goal setting, though I haven’t used any so I don’t have any to recommend or warn you from (do you have one you love?). I hope you will set some real goals for 2014 and write them down. We should always be stretching ourselves to be better and improve. I have a goal this year in conjunction with this blog. I want to try to stay on top of your comments and questions. I haven’t ever quite climbed up and taken charge of them again after having Brinley. I am still trying to figure out exactly how to do it, but I hope to accomplish this goal.